For those interested in learning computers, blogging, and other techie stuff. I didn’t want to do this, but it’s sort of come down to it. I am taking a little vacation and as such, I won’t be able to post for awhile. Since I try to keep a fairly consistent posting schedule, I thought I’d set one to say hey, I’m not slacking off. Just not here. However, I can’t bear to write an article just to say that, so let’s use this time to take a quick look at Out of Office auto-replies and how they relate to spam filters. An “Out of Office” message is merely an auto-responder provided by Outlook and other email clients. These are typically used to inform people when you’re on vacation, away from the office, anything where you may not be able to check and/or reply to email for awhile. For emails between friends, family and/or co-workers, this can be useful. Maybe you don’t talk to the guy in the 4th floor office very often and you have an urgent message for him. If he’s not there, his out of office reply can immediately let you know to seek assistance elsewhere. There is a downside to them though as well. If you receive a lot of emails from outside your normal circle, an out of office reply could open you up to potential boatloads more spam. 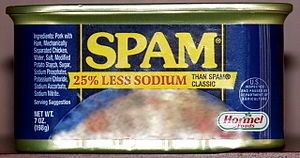 Spam mail (aka junk mail) often gets sent to whoever has an available email address in cyberspace. Some spam filters work by sending bounce messages to give the sender the impression that your address is bad. The idea is, if they think that they are emailing to a bad address, they will remove it from their list of addresses to spam. In an ideal world, that would absolutely be the case. Unfortunately this is not an ideal world we live in. Even these fake bounce messages can make your email address more susceptible to additional junk mail. Kind of a catch-22. The huge flaw that is present with both is the response. By sending a response at all, it tells the spammer that the address is good. Anything other than a genuine bounce message (which you couldn’t send without pretty much deleting your email account) tells the spammer that the spam mail has been sent to a legitimate email address. Naturally, this tells the spammer to keep right on spamming you. This doesn’t apply to any times where you’ve intentionally signed up for an email subscription of any sort (coupons, newsletter, blog subscription, etc). Intentional subscriptions can seem like spam if you receive frequent enough emails, but they don’t constitute spam since it’s requested. If you knowingly and deliberately sign up for something, you can use the unsubscribe link that should be provided in the email. If you didn’t, set your spam filter to automatically tag and delete the email. Using the unsubscribe link on spam has the same downfall – it tells the spammers your address is legit. Don’t take this to mean that an auto-reply should never be used. If your company or you personally only ever email to and get email from friends and family, using an out of office reply is helpful. The problem only comes up when your email address already receives unsolicited emails. There, now my late blog action won’t keep me up all night. 🙂 My next one may be a little late as well, but rest-assured it’ll be up as soon as I can write it. In the meantime, while we’re on the subject of nasty stuff, why not check out some of the other articles about viruses and spyware? Viruses, spyware, and other malware can be contracted via some types of spam, so be sure to keep a watchful eye! This entry was posted in Beginner, General Techie and tagged email, malware, problems, scam, security, spam, spyware, virus. Bookmark the permalink. Windows 10 is Now Here – What’s New and What’s Different? Android Gallery Thumbnails Folder Size – Solved! Which To Use – The Administrator Account or a Guest Account? RAM Vs Processor - Which Really Makes Your Computer Faster? Techie Beginners was created for those who are just starting to get their feet wet. Whether you are just learning to use a computer or want to try your hand at blogging, there's something here for you! If you know someone who hasn't worked with a computer at all before, open up Super Beginners for them and let them read on. I try to update regularly with a variety of topics but if you don't see what you want, let me know and I'll try to cover it. And if you did find something great, be sure to share this site with a friend who could also benefit! Here's to learning something new!